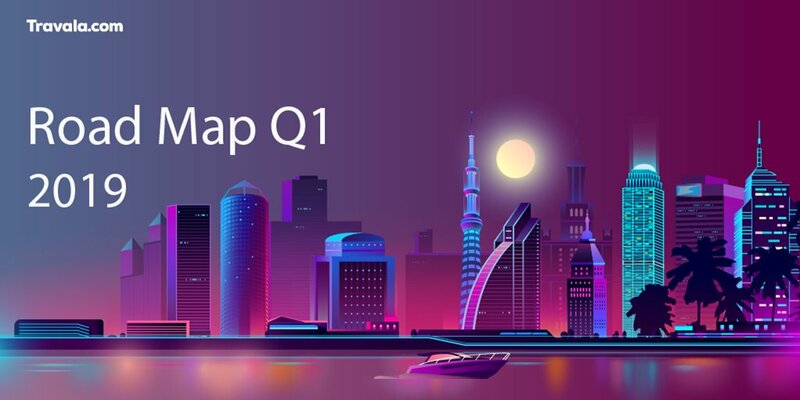 After a very successful 2018 we would now like to present you with roadmap for Q1 of 2019. ✅ Travel Partnerships – Wholesale B2B and B2C suppliers partnerships signed with Hotelbeds, Hotelspro, Ratehawk, W2M, Abreu Online, Didatravel, DOTW, GRNconnect, Hoteldo, Olympia Europe. Restel and 5 more partnerships in process to give Travala worldwide coverage with amazing availability and rates for our beta launch. ✅ Native crypto payments – Built in crypto payment options for 8 native digital assets including; BTC, ETH, LTC, NANO, TRX, BCH, DAI, XRP. This is Travala front end and coingate conversion to fiat for a seamless booking experience. ✅ Paypal – Integrated Paypal checkout for booking payments with paypal accounts, visa, mastercard, discovery, AMEX. ✅ Zoopay – Partnership with this international payment processor giving Travala access to 220 alternative payment methods in 180 countries and 120 currencies. We are a very agile business and there will be a number of additions made to this roadmap over the course of the quarter as we finalize ongoing partnerships and updates happening behind the scenes.